The province of Tirol-Tyrol is the heart of the Austrian Alps with gorgeous Alpine scenery, majestic mountains, quaint mountain villages and lakes. For all those who love nature, mountains and getting the most of the outdoors, including hikers and skiers Tirol is a Alpine paradise. The dream-like landscapes and villages of Tirol / Tyrol are steeped in tradition and history will fulfill your every expectation. Tirol / Tyrol is traversed from W to NE by the Inn river and Lechtaller Alps between Lech and the Inn. The highest peak is the Wildspitze 12, 382 ft, 3 774 m in the Ozttaler Alps, its highest slopes are covered by glaciers. ideal for skiing and hiking. 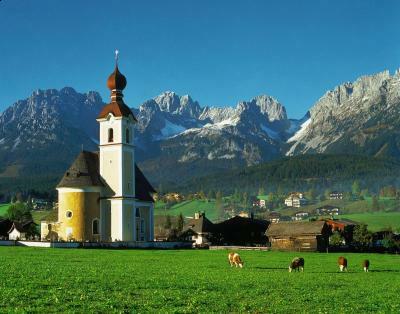 The Kitzbueheler Alps and Lienz Dolomites rise in the E and NE parts of Tirol / Tyrol. Trade and cross road center. The province has always been an historic and strategic cross road. Conquered by the Roman by 15 AD. Early population of Raehatian indigenous Alpine people were conquered by the Romans. In 1270 the Counts took full control. Administration of the area fell to the Bavarians for a short time and then to the Habsburgs in 1363 until the end of the Empire. Proudly Independent and patriotic the Tirolians rose in rebellion in 1525 when Protestantism was strong and again in 1809 against the French. Andreas Hofer – Innkeeper, elected local political leader, patriot. Freedom Fighter Militia leader of Tirol who defeated Napoleon’s forces and Allies in four battles. Rebellion April 9 1809 Hofer led 20 0000 patriots in battle, May 25th victory over the Bavarian and the French at Berg Ischl. 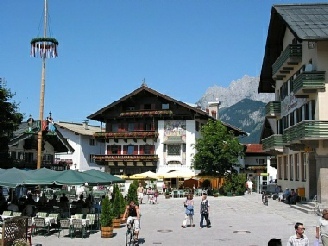 Capital city of the province of Tirol / Tyrol. Surrounded by tall picturesque mountains. 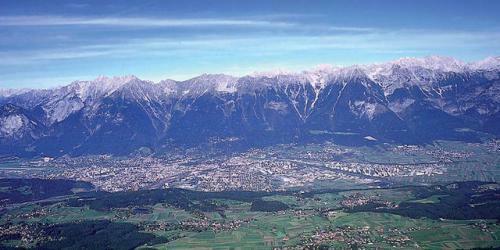 City that is at the heart of the Alps and the province of Tirol/ Tyrol. 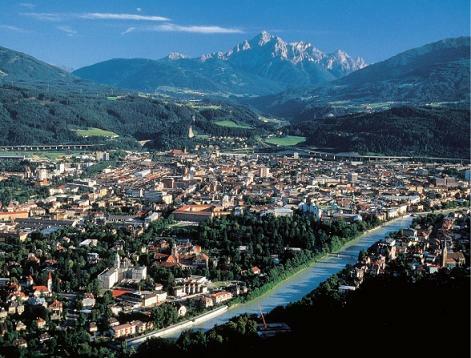 Innsbruck is the business, retail, light manufacturing center, of Tirol/ Tyrol. 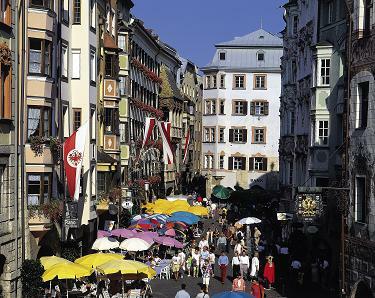 Innsbruck is also a university town, and cultural center of the province. Palace, castles and much much more. Tirol / Tyrol Economic Guide Main industries are tourism, mining, forestry, crafts, light industry, Crystal works of the world famous– Swaroski, mining of salt, copper, magnesite. Most industries are small and highly specialized businesses, such as textile mills, production of church bells, stained glass, and even locomotives. Since the 1950’s chemical, pharmaceutical and electro-technical industries have developed. Alpine health and Winter sports resorts support a vibrant tourist industry. Tirol /Tyrol Events Guide : European Congresses often held at the resort of Alpbach. Winter Sport World Cups in Alpine and Nordic skiing as well as snowboarding etc held at the famous courses of Kitzbuehel, St. Anton and others. The Brenner pass is shut down one day a year in in which the Tirolians will walk, bike, roller blade, skate board along the Brenner Autobahn - A 10, pass instead of the daily traffic. Tirol /Tyrol Trivia Guide: Innsbruck site of the 1964 Winter Olympics and 1976 Winter Olympics as well as the most difficult and greatest prize in Alpine Ski racing the world famous Hannenkamm Race at Kitzbuehel.